The title, "Two Worlds: Developing Your Psychic Skills," and the picture on the cover prompted me to purchase your book. Reading it was a real adventure. I was hooked almost immediately and by page 8, I had tears in my eyes. I am recovering from cancer and made a prayer similar to yours. Please let me know when the next book is published. Again, I really enjoyed reading your book. Great News - I've just had new Editions printed and now these two books are offered in Kindle both here and England, Europe and Australia, and New Zealand! New CD's and Classes are listed bottom of page. Keep checking this site for new e-book and lecture materials! Help! Get Me Out of this Funk! Can't get motivated? In an uncontrollable funk? Feeling like there's a weight holding you down? Read of Debbie's struggle and awakening to her own power for success. Learn self-motivating tips and goals to apply to your life and for your own success story. A chapter dedicated to "Talking to our Angels" is a delicate balance of receiving help and exercising "Free Will." Great Show! 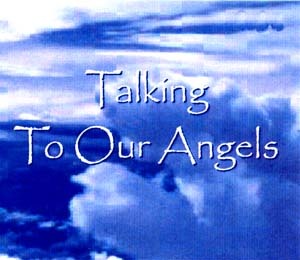 Talk of Time Access and the "Funk"
We believe in angels and we want their help, but who are they and how do we ask? Are they always there for us? If so, how do we know that? 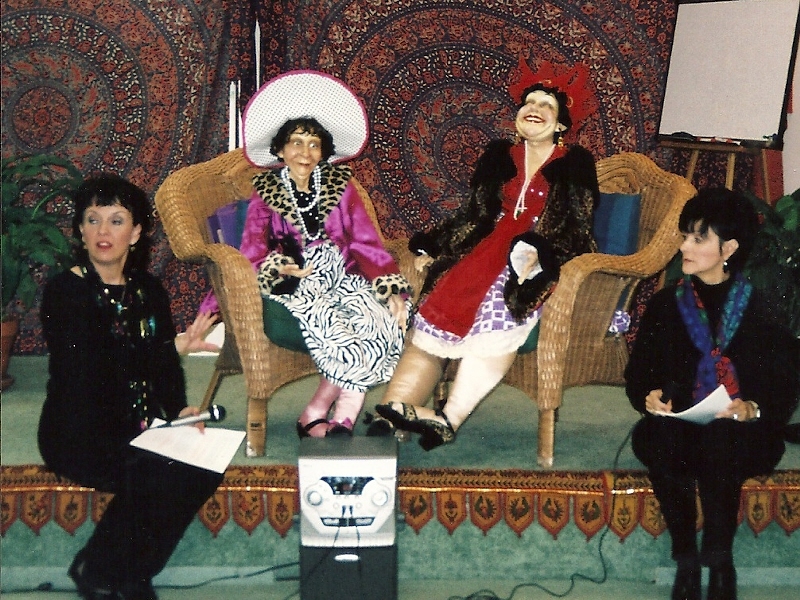 These are some of the questions Nancy addresses in this fast, fun and humorous look at "Talking to our Angels". Sometimes we just sit and have to agree - that last relationship was a lot of work. What were we thinking? Why didn't we see the signs? You had that certain "feeling". Conducted in a Theater round with over 100 attendees, Nancy creates a fun environment in which to realistically look at a dating partner as a potential long-term mate, or short term and how to be tactful in a breakup. 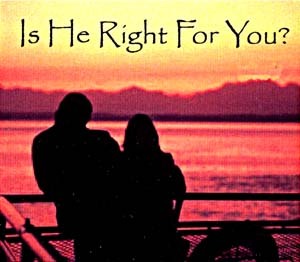 Nancy discusses the five fundamental stages of relationships. 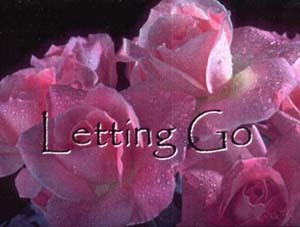 This classroom talk deals with lessons of "Letting Go". From the birthing process, first love, first death, divorce and releasing children. Nancy deals with these subjects with humor, honesty and sincerity for those exploring these issues. One of our greatest myths is to believe: "All you see, feel or hear is our only true reality." Nancy's powerful new thinking process of our true nature, will excite you to a new understanding of your life and the universal life force within us all. Nancy challenges the idea that our Mind holds all our thoughts and memories; she says we co-live in past and future moments. Listen as she bring to you knowledge to balance the emotional, spiritual and physical aspects of your journey in Life. Have you made this same pledge? I will Work For You the Rest of My Life"
Haven't we all had that Ah Ha moment! And YOU've earned that T-Shirt! Two Old Ladies meeting at a friend's grandchild's wedding. Amazed at seeing each other after all these years - they lie about their conquests and the "fatal" accident that makes them tell the truth. For my Metaphysical Development Certification Courses see below! This is actually the first of the series listed below to give a student an overview of the Psychic Universe and Mysteries yet to be confirmed by scientific means. This course is for the student who is desiring to know more about Psychic and Mediumship without training to be a "Reader, Councilor or Minister" Being involved with the Spiritualist community and attending group functions with enough knowledge to participate with discussion groups and on-line forums. Course CDs, DVD's will be listed shortly. An additional overview of this class is forthcoming. Trying to find your "on-purpose path" wanting to help others, but feel lost on how to do so. Choosing Nancy's Psychic Development Course to freely help family and friends; or to create a new profession as a Professional Psychic, is your path to self-fulfillment and soul satisfaction. This step-by-step to psychic awakening to development stages has been written by Nancy to fulfil her dream of "sharing her knowledge" with others. The course includes 7 CD's and 1 DVD, plus a lengthy booklet of psychic development. Nancy's package also includes information to be included on your web site, radio personality development and disclaimer information. Some of the CDs, "Psychic Awareness, Energy Remote Healing, Energy Protection & Cleanings, Channeling, DVD Psychic Dev Class, Free Will vs. Destiny and more. 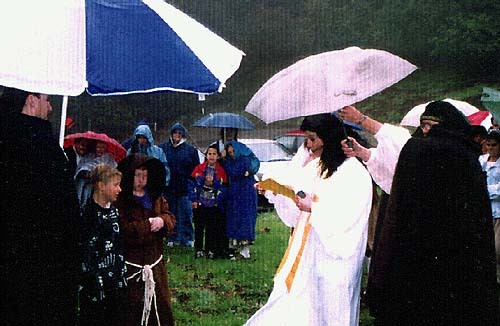 The written material will talk about meditation, psychic development techniques. As a natural or trained intuitive psychic you've become more aware of a "sense or presence" of Spirit People around you. 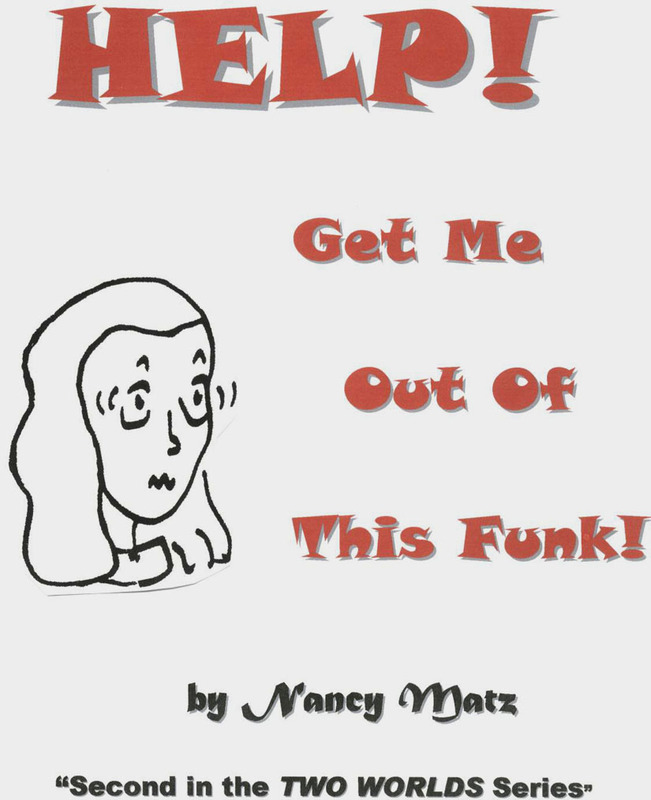 Nancy has created a 35 page How-To-Connect with Spirit Kind to fulfill your quest for Proof of Survival. Whether you need answers to your After Life questions, or to answer questions asked by your clients or your personal quest to communicate with deceased family, this course will give you tools to accomplish these desired outcomes. This course also includes Weddings, Funerals, and Church Service Information. 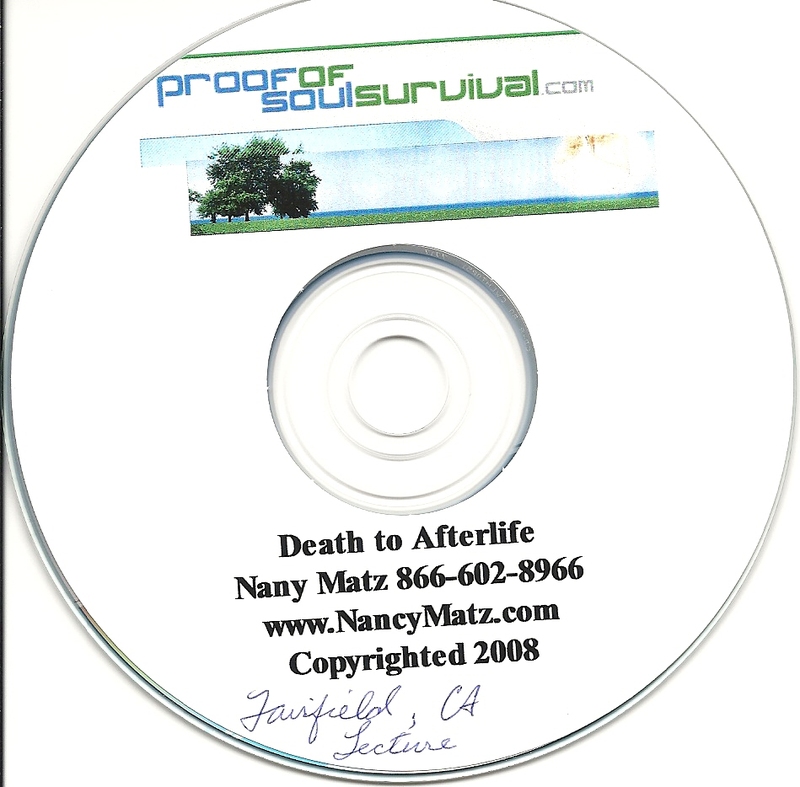 $5.00 MP3 - Lecture Sacramento on the steps Spirit from "Transition to Afterlife"
Offering and sending MP3s of talks below and will be lowering prices.